His name is perhaps not well known by many logistics and distribution professionals today, but Gene Gagnon was an important figure in the history of Labor Management Systems (LMS). He passed away March 24, 2005 at the age of 76. Gagnon was the Chief Executive Officer of Gagnon and Associates, a Management and Industrial Engineering consulting firm established in 1960. He was a registered Professional Engineer and a Certified Management Consultant. Managing operations in a facility that size is even more challenging and requires highly trained, equipped, and motivated supervisors. Gagnon, along with his associates, introduced the concept of engineered labor standards to distribution in the 1960s. He subsequently developed one of, if not the first, LMS software program which combined labor standards calculation with individual labor performance reporting which are commonly used in warehousing distribution centers today. 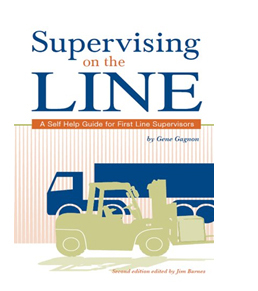 In 1988, Gagnon authored the book “Supervising on the Line”, which offered commonsense tips for managing employees in distribution environments – most of which are just as applicable today at they were when the book was written. Supervising on the Line has been revised and updated by leading supply chain expert and EnVista CEO Jim Barnes www.envistacorp.com. Through stories and real-life examples, the book offers timeless, common sense tips for managing employees in the DC. In his book Gagnon notes that too often supervisors are promoted into that position from being a line worker – but then given very little training about how to do the new job well. “A new supervisor needs and deserves help the minute he gets on the job,” Gagnon wrote, noting that the line supervisor is the one directly responsible for managing a very important asset – the company’s labor force. The ability of the line supervisor to drive higher (or lower) levels of productivity can have a big impact on a company’s P&L statement. In 1998, Gagnon observed that “a supervisor needs to be less of a traditional boss – one who looks over an employee’s shoulder, and fights to get the work done – and more of a coach.” That’s something a much large number of companies recognize today. Gagnon also continuously emphasized that the role of supervisor was in part “to remove the barriers that prevent employees from doing their best.” He was always optimistic that workers really did want to work hard (and smart) for the company – if the right environment was created for them to do so. “It’s up to you to convince your workers that you care about them and the quality of their work, and that the company does too,” Gagnon wrote. Just listening to their concerns and ideas is the critical first step, he noted: “Nothing destroys an employee’s motivation faster than feeling no one cares about how he does his job,” he added. A first step for a new supervisor is to clearly understand what management expects from him or her. Conversely, it is essential that management make that clear to supervisors and that the larger “game plan” is also communicated. Often, he wrote, supervisors don’t have this understanding and are reluctant to ask for such clarification. Related to those concepts then is making sure a supervisor also understands his or her boundaries – just how much responsibility and authority really comes with the job. Is this really well defined for your supervisors even today? Gagnon likened the proper role of supervision to something like preventative maintenance: removing the source of potential problems before they grow into “productivity-killing” major issues. But a big part of that in turn relates to effective time management, and how many companies even today really provide training and guidance on that skill for supervisors? Among the great contributions Gagnon made to the industry was focusing management attention on lost time and excessive “indirect” time in the DC. “Hidden lost time accounts for about 80% of lost time, yet attracts only about 20% of management’s problem solving attention,” Gagnon wrote. It’s easy to see operators standing around because they have no work to do; much harder is to see delays in operations that are the result of systemic issues, poor data; bad processes, etc. – but that time can really add up. He notes the famous Parkinson’s Law that - work expands to fill the time available for its completion – and says that is a problem in many operations. Of course, given his push for engineered standards and measurement, Gagnon focuses on the role both of those have in improving operations. While the use of metrics in the DC has expanded substantially since 1998, still a minority of DCs are using discrete engineered standards, most surveys show. Without such standards and reporting at an individual operator level, Gagnon says that “productivity stagnates at about 60%” (of what would be a fair standard), whereas with LMS productivity can reach 90% or above – a remarkable difference in efficiency. “Motivation is the fuel that drives people to accomplish things,” Gagnon wrote, noting that one common problem is a supervisor failing to give consistent feedback to high performing workers, implicitly assuming they don’t need such reinforcement – but they usually do. Supervisors need to understand the operators under their charge as individuals, and tailor the approach to motivation and feedback according to each operator’s needs, Gagnon says. “It’s the whole environment that encourages and maintains worker performance,” Gagnon concludes. “Like pieces of a jigsaw puzzle, many separate actions must come together to create a positive work environment”. Supervising on the Line is a highly recommended resource book, especially for first-time supervisors, offering timeless leadership skills and tools truly need to be successful. There was a time not that long ago when a 250,000 sq. ft. warehouse was considered large. Now days 1,000,000 sq. ft or larger distribution centers are not uncommon. Managing operations in a facility that size is even more challenging and requires highly trained, equipped, and motivated supervisors.